Insurance based on yield or weather indexes is a way of protecting small farmers in developing countries against natural risks. This innovation has the potential to improve their living conditions and enhance both food security and climate change adaptation. Expanding its coverage is a key challenge and one that calls for close, long-term cooperation between the public and private sectors. There are a total of 430 million farming units of less than two hectares in developing countries. The vast majority have neither private insurance cover nor access to public compensation schemes for agricultural disasters. To reduce their exposure to natural risks, these producers rely on community solidarity, precautionary savings and diversification – of crops and revenue sources. However, these practices provide only very limited protection and they have an implicit cost in the form of under-investment and lower yields. Until recently such farmers were regarded as uninsurable: the sums to be covered were too low and the costs of administration, marketing and claims processing were too high. However, the advent of index-based insurance (box) has been a game-changer. Unlike traditional insurance, which requires the services of a local expert to assess economic loss with respect to a claim, index-based insurance draws on biometric data (supplied by satellite imagery or by surface weather stations) or on average yield data to model losses arising, for example, from insufficient rainfall (figure). By reducing administration, distribution and transaction costs, this innovative approach makes agricultural insurance affordable for small farms in developing countries. Economists Harold Halcrow (1948) and Hematala Dandekar (1977) developed the concept of index-based insurance, based on a yield index. 1993: The first index-based insurance pilot scheme is introduced in the United States. 1999: After several years experimenting with yield indexes, India rolls out its National Agricultural Insurance Program. 2003: Private insurers enter the Indian agricultural insurance market and the first weather index-based product is marketed by ICICI Lombard. 2000s: Multiple pilot schemes are introduced worldwide. 2009: Creation of the Global Index Insurance Facility, a multi-donor trust fund managed by World Bank Group and supporting the development of the index-based insurance market. 2015: The first Global Index Insurance Conference is held in Paris. Index-based insurance circumvents the problems of adverse selection1 and moral hazard2 inherent in traditional insurance. The insured farmer does not have any influence over the index, which is based on objective data. The lower operating costs make it possible to insure small sums for very small farms and to compensate beneficiaries swiftly. Moreover, farmers are incentivised to achieve optimum output and to implement preventive measures because their compensation is based not on their individual situation but on the index. By assuming some of the risk, insurance effectively unlocks the investment capacity of these small-scale producers who can deploy more profitable strategies and thus secure crop loans more easily. Until recently farmers in developing countries were regarded as uninsurable. The advent of index-based insurance has been a game-changer. Consequently, insurance helps drive development and farm modernisation. Moreover, when the insurance is linked to a loan, the outstanding principal is repaid directly to the financial institution in the event of a claim. This means that the borrower remains creditworthy for the following year and the risk of default by the farmer is significantly reduced. Distribution of this new type of product can encounter some obstacles. Index-based insurance requires reliable data covering an adequate historic timeframe. Modelling the risk to be insured is the basis for setting the insurance rates so accuracy depends on the quality of the data collected. In many countries such data is lacking, mainly because the regional network of weather stations is defective. 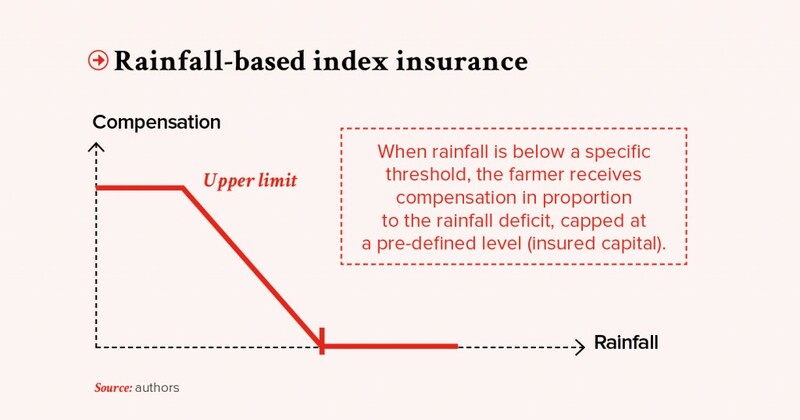 Basis risk – the potential differential between the loss estimated by the index and the actual loss suffered by the farmer – is the main challenge posed by index-based insurance. This differential can arise due to an index calibration error, to data of insufficient quality, or to topographical factors. Index-based agricultural insurance also necessarily involves a complex chain of actors (figure) from across multiple fields of expertise (climatologists, agronomists, actuaries3). This complexity requires specialists (box) who can simultaneously fulfil the role of consultants and insurance agents. ACRE-Africa is a Syngenta Foundation initiative established in Kenya in 2014 to develop a “replanting guarantee” in liaison with seed suppliers. The insurance premium is included in the price of a bag of seed which contains a card with a unique code. Farmers send this code by SMS to activate their cover. This also registers the farm location and initiates a three-week sowing and germination period. If the indexes show a lack of rainfall resulting in germination failure during this period, the farmer receives compensation for the cost of the seed or a voucher to obtain another bag of seed for replanting during the same season. Index-based insurance is not suitable for managing certain types of risk such as price risk. It is used to supplement other instruments of a financial (e.g., appropriate types of savings products) or agronomic nature (drought-resistant seeds, improved cultivation techniques, etc.). Finally, even though administration and distribution costs are low, price may still constitute a barrier – particularly as the very concept of insurance is often unfamiliar to small farmers and something they view with a great deal of suspicion. Local insurers also need to be able to source sufficient reinsurance capacity from the major global reinsurers at an acceptable cost. The deployment of autonomous, low-cost weather stations will undoubtedly improve the quality, regularity and granularity4 of the data collected, and technological innovations will definitely make it possible to reduce the basis risk. However, developing index-based insurance more widely will require strong and sustainable support from governments or development finance institutions as well as close cooperation between major stakeholders from the public and private sectors. It should also be noted that some major countries (e.g., India, China and Mexico) have introduced very pro-active government policies in support of index-based insurance. In January 2016, India announced its intention to increase the annual state crop insurance budget to more than US$1 billion with the aim of insuring 50% of total land area under cultivation (compared with 23% at present). 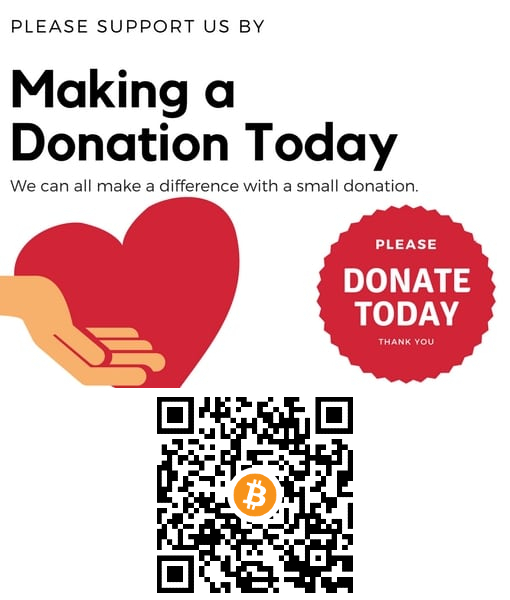 Government support can also involve subsidising insurance premiums as well as investing in the public infrastructure necessary to develop index-based insurance – meteorological infrastructure, data, research and development – or even in additional overall reinsurance or securitisation capacities. Although financial intervention by public authorities will undoubtedly be controversial, we need hardly point out that crop insurance is massively subsidised in most developed countries – to the tune of US$5.6 billion per year since 2007 in the United States, for example. State financial support will achieve its objectives all the more effectively if it maintains a level playing field and remains predictable over the long term, encouraging private stakeholders to fully commit to developing this promising market. In other countries, the development of index-based insurance products and the creation of specialist operators are supported by international organisations – a prime example being the International Finance Corporation which manages a dedicated trust fund in this field, the Global Index Insurance Facility. Thanks to technological innovation and close, long-term cooperation between the public and private sector, a potential insurance market of some 430 million farming units is opening up with important knock-on effects in terms of food security. Impact studies undertaken in several countries (China, India, Ghana, Malawi and Ethiopia) demonstrate the positive effects of agricultural insurance for farmers: increases in the land area cultivated, demand for loans, investment and income (De Bock and Ontiveros, 2013; J-PAL and coll., 2016). Governments, international organisations and private stakeholders can use agricultural insurance as a driver to help fight poverty and improve food security. It is also a promising vector for climate change adaptation, as mentioned in the Paris Agreement in the wake of COP 21. Moreover, because of its economic and social benefits, agricultural insurance in developing countries is also an excellent candidate for funding from the Green Climate Fund. 1 When insurers are unable to select beneficiaries according to their level of risk they apply standard conditions (premium, compensation) for everyone. 2 Moral hazard refers to opportunistic practices by individuals who, knowing that they are insured, limit their preventive efforts and increase their exposure to risk. 3 An actuary specializes in applying probability theory and statistics to questions relating to insurance, finance and social security. 4 i.e., the level of detail in a set of data. De Bock, O. and Ontiveros, D., “Literature review on the impact of microinsurance”. Microinsurance Innovation Facility, Research Paper, no.35, 2013. “Make it Rain”, Policy Bulletin, Abdul Latif Jameel Poverty Action Lab, Center for Effective Global Action and Agricultural Technology Adoption Initiative, February. 2016. Hazell, P., Anderson, J., Balzer, N., Hastrup Clemmensen, A., Hess, U., and Rispoli, F., “L’assurance basée sur un indice climatique : potentiel d’expansion et de durabilité pour l’agriculture et les moyens de subsistance en milieu rural”, International Fund for Agricultural Development and World Food Programme, Rome, 2010. Mahul, O. and Stutley, C., “Government support to agricultural insurance challenges and options for developing countries”, World Bank, Washington, 2010. Sandmark, T., Debar, J. C. and Tatin-Jaleran, C., “Genèse et essor de la microassurance agricole”, Document de réflexion, Microinsurance Network Luxembourg, 2013.